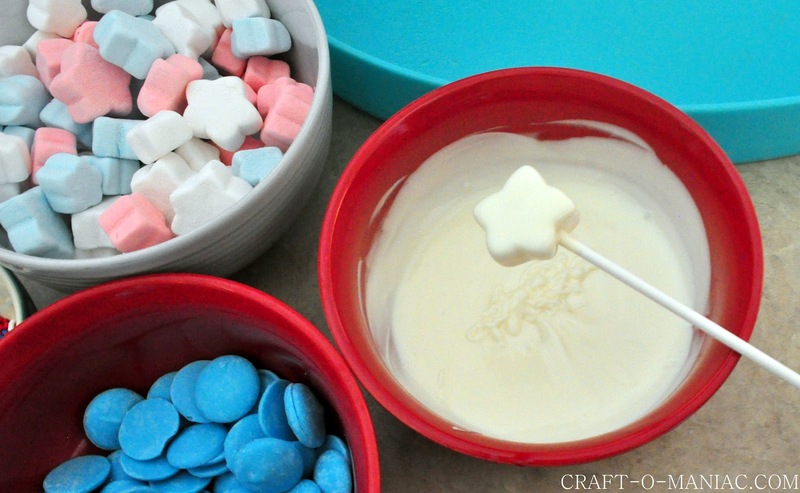 Today I am sharing with you all some dipped star marshmallows. I found the marshmallows at Walmart, because my little 3 year old Ryk.. saw them and said “wook mashmallow’s mom” I had to get them, and I new right away I would dip them in some melted candy melts. 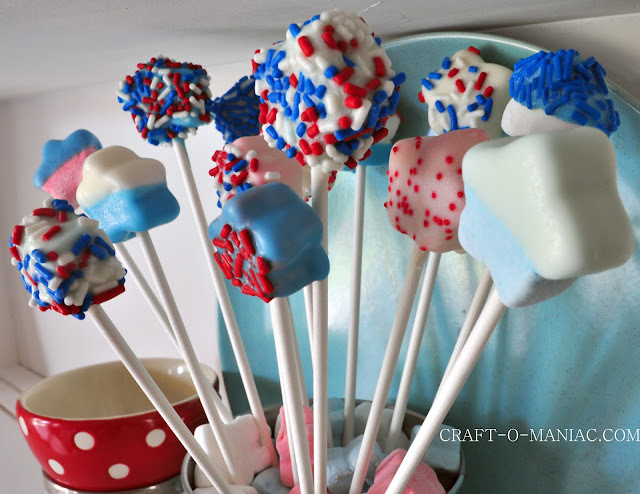 So I bought some candy melts and some extra sprinkles and made some fun “Patriotic Marshmallow Star Pops.” All you have to do is melt your candies, stick a marshmallow on a sucker stick, and dip. 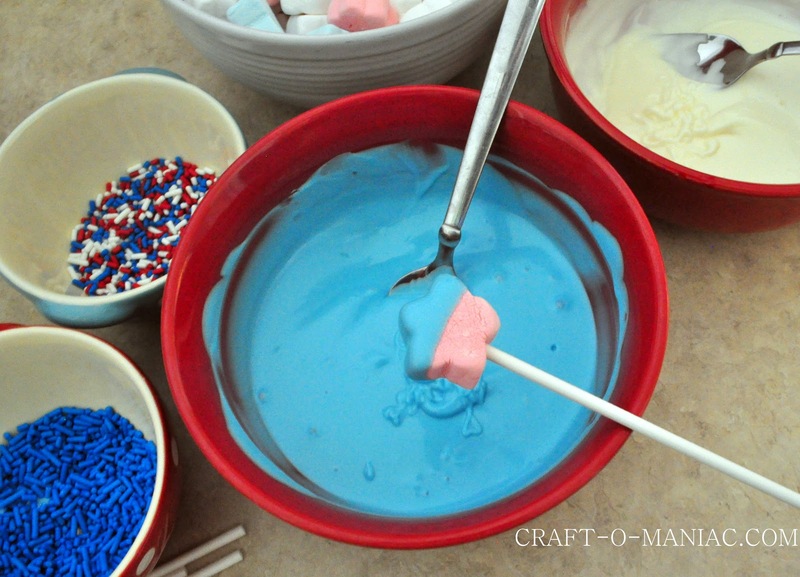 Then over a bowl sprinkle on your candy sprinkles. 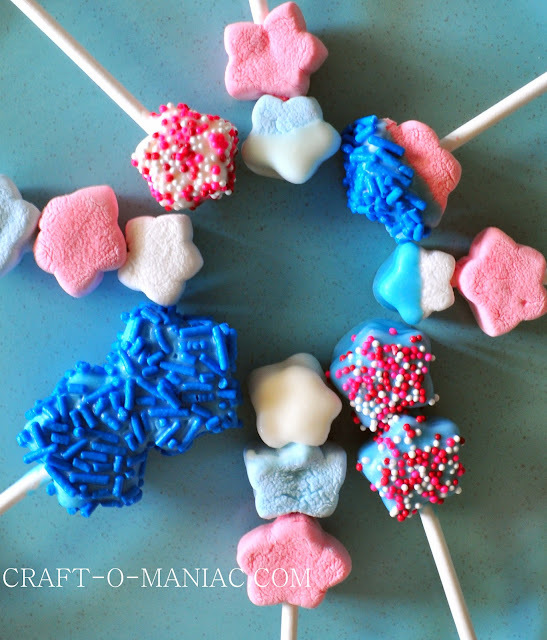 Stick your star pops in some styrofoam and chill in the fridge for 30 minutes, or less. 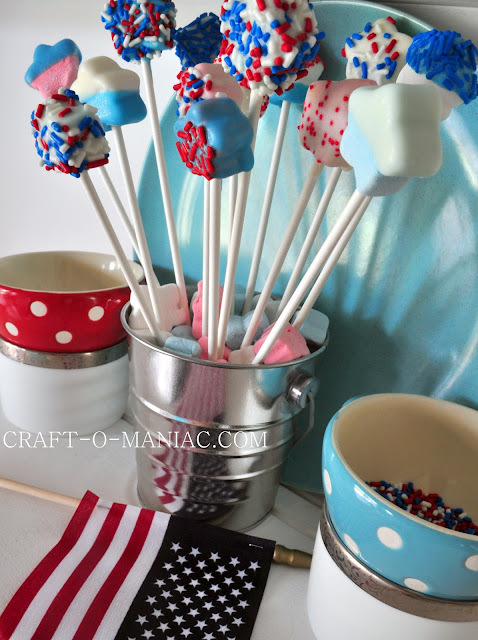 I am so thrilled to celebrate the 4th of July. would be the perfect edition to your fun FAMILY & FRIENDS fire cracken holiday. I am so blessed to be an American and to have my freedom and freedom of speech. 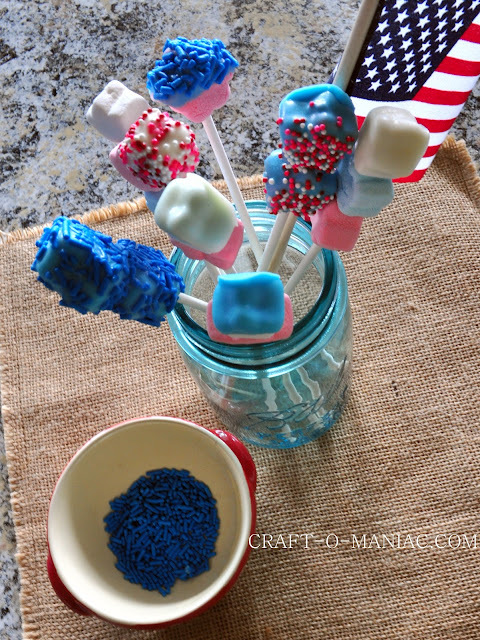 Having this blog is just one more opportunity and reminder of my freedom of speech. I feel so much love, pride, and freedom when I see a large flag waving in the summer breeze. I love 4th of July night and watching all those fire works light up the dark sky. I just can’t wait. Jen, not only are the marshmallow pops adorable, I could not agree more with your feelings you shared. I feel so blessed to have been born on American soil and thankful for my freedoms because of it. 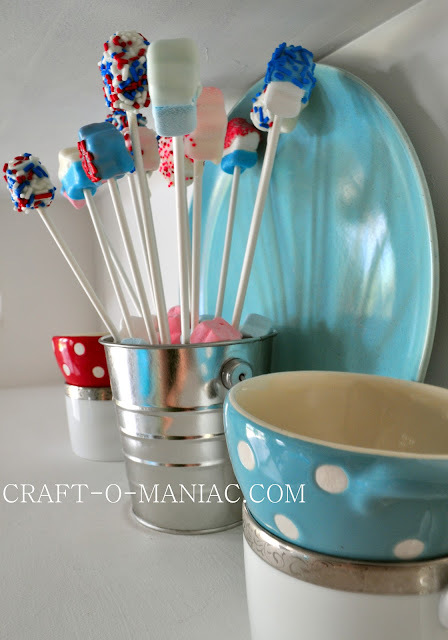 Thank you too for hosting an awesome party each week! Yummy,Jen!! !Great idea.Thanks for sharing!! !I am definetly trying this out!! MMM! 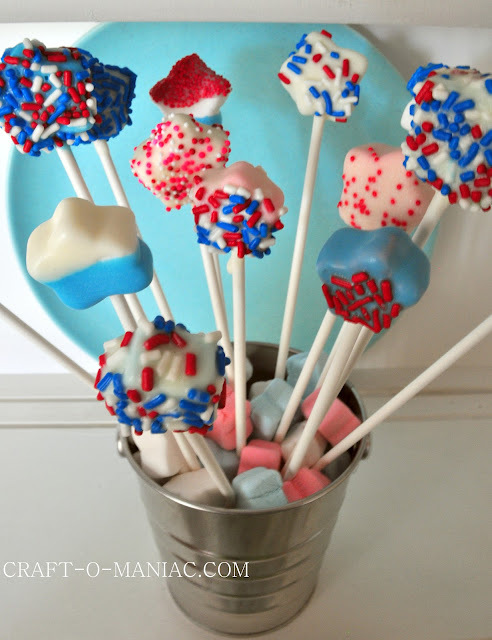 Those look fab!! Pinning! Thanks for posting this!!! 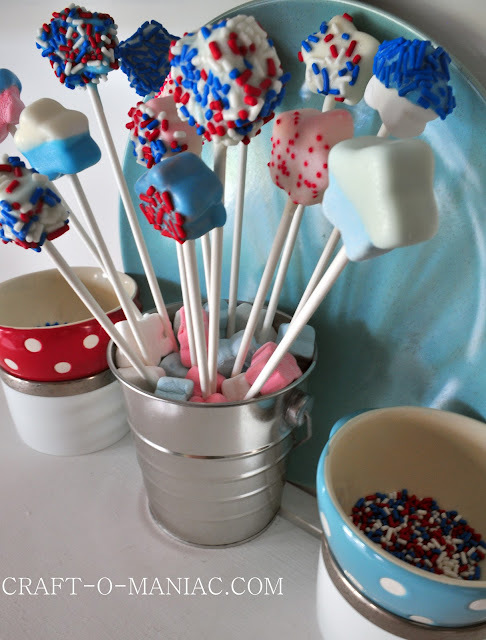 Great little snack for a party!! !